eNewsletters remain one of the most successful communication tools with fans and customers. For those with products to sell, e-newsletters continue to garner the highest open rates and click through rates to generate engagement and sales. 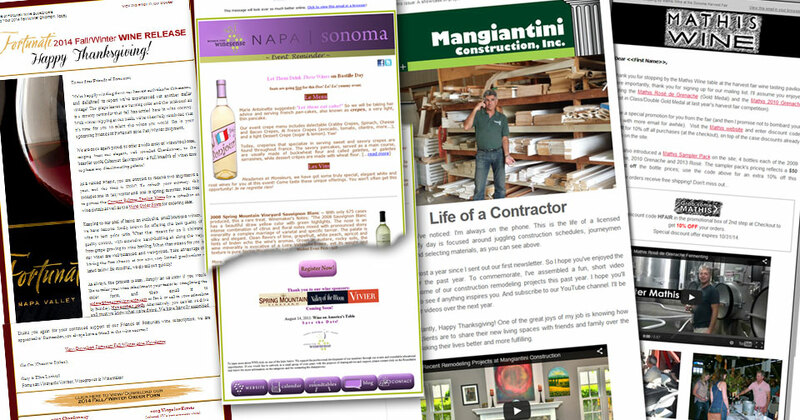 Shown above are but a few of the e-newsletters I manage for clients. Of greatest advantage, e-newsletters provide immediate feedback regarding success. Analytics provide valuable data on which items were of greatest interest to recipients. And the ability to A/B split test allows business owners to truly fine tune what keywords, subject lines and products resonate most strongly with recipients. Last, but not least, depending upon the size of your emailing list, e-newsletters can produce dramatic results on a shoe-string budget. No printing costs, no envelopes, no postage and no 2+ week wait time for results. If you’ve ever wondered if and when to jump into contacting your customer base via e-newsletter, wait no longer! Your customers are waiting to hear from you!